What is NoFollow? NoFollow is a value in HTML that tells search engines to disregard a link. Users are still able to click through the link, but webcrawlers won't crawl that link. Confused? Don't worry, I'll start from the beginning. I'm sure most of you have participated in forums and commented on articles and blog posts. In most cases what does every other post contain? A link. Before NoFollow was introduced, websites would essentially dilute their PageRank because user-generated links would send bots and traffic away from the site. Fast forward to today. Search engines have strict rules that state that websites must disclose every paid piece of content and every paid link. 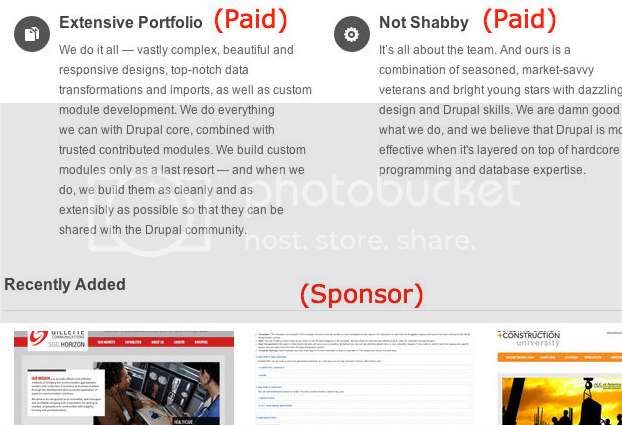 Rather than cluttering up our website by pointing out every paid link and ad with "HERE'S A PAID LINK", we can now use the NoFollow to disclose whether a link is paid or not. Could you imagine if every page looked like this? Some of you are probably thinking, "Jon, this is all well and good, but what does this have to do with us?" Well, Google and Bing have already begun cracking down on sites with native advertising. For better or for worse, we have to think that those policies will only get stricter as time goes on. Even though your website may not have been penalized, it could happen in the future. It's better to be safe than sorry. NoFollowing is as easy as pie. If you're a HTML purist and refuse to use any CMS, the element looks like <a href="website name" rel="nofollow">example anchortext</a>. However, the rest of us Wysiwyg users in Drupal can just click on the link button, go to the advanced tab, and type "nofollow" in the relationship box. 1.) 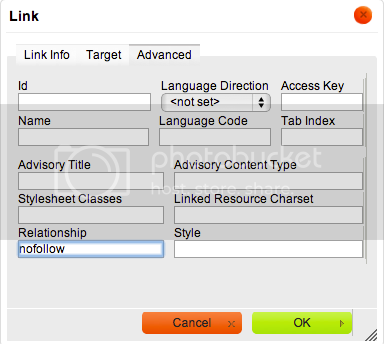 NoFollow prevents search engine robots from following a link. 2.) Users can still click through. 3.) The linked site will still get the traffic and will not get any negative results. 4.) It is embedded in the code and will not be seen visibly on the site. 5.) It prevents user-generated links from diluting PageRank. 6.) And finally, it discloses all paid links, which keeps your site on good terms with Google and Bing.